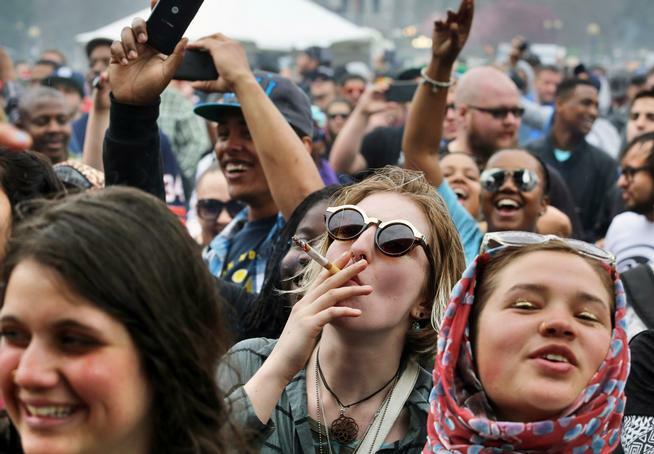 An overwhelming majority of Millennial’s (70%), Gen X’s (66%), and Baby Boomers (56%), support legalizing adult-use marijuana. No longer politically impotent adolescents unable to vote, as millennial’s grab the reins of power and become a significant voting block – their craving for legalization will become a precarious political problem for any would-be elected officials seeking to maintain their political office – that rejects reform. During the 2016 General Election, Millennial’s and Gen Xers cast 69.9 million votes combined. Alone, Millennial’s – individuals between the ages of 18 and 35 – cast approximately 34,000,000 votes. And its statistics like this that are causing some real consternation. In supporting the legalization of recreational marijuana, progressive candidates can argue that their position will unleash an expanding market for job creation, increase tax revenue for state coffers, drive down in crime rate, mitigate addiction, and probably most importantly, relieve our nation’s overcrowded prison system of its most undeserving inmates – the marijuana inmate! A topic du jour for those seeking elected office in several states, more than a few anticipate the cannabis question will be a sticky problem for any incumbent not embracing legalization in certain states during the 2018 midterm elections. A primary example of this important fact is evident in the results from New Jersey’s recent election. The 2017 gubernatorial race, Gov. Phil Murphy campaigned on the platform of legalizing marijuana in the Garden State. By promising to legalize adult use once in office, the Murphy’s campaign whipped the Republican candidate and won in a landslide! *Bottom Line going forward: marijuana and recreational cannabis legalization and your vote count in 2018 and beyond!